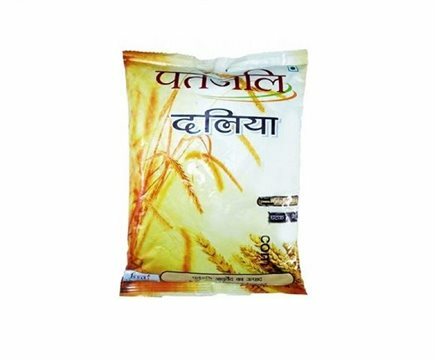 Patanjali Pushtahar Dalia is made from raw, broken coarse wheat. It contains essential fiber(roughage) it can be made as both, sweet or salty, recipes. Direction for use: Boil one bowl 50g Patanjali Dalia in 400ml water. Add cut vegetables and salt to taste. Can also be made as a sweet recipe with milk. Suggested Use: As a healthy breakfast or evening snack.